About Saturn Tool & Die Windsor Inc. Established in 1967, Saturn Tool & Die has been designing and building stamping dies for the automotive industry for almost 50 years. These include; Transfer Dies, Tandem Dies, Line Dies, Hemming Dies and Progressive Dies. 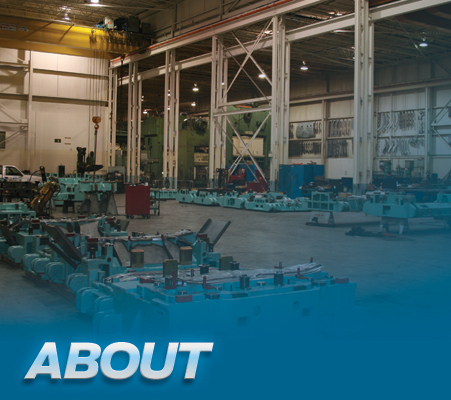 With a crane capacity of up to 60 tons, 70,000 sq ft of floor space and a large selection of tandem presses, Saturn can provide limitless die construction capability. We have extensive experience and history in working with various material grades including; general Sheet Metal, Tailor Welded Metals, Advanced High Strength Steels, Dual Phase (DP) Steels, Aluminum and Stainless Steel. Material thickness capability ranges can vary from .020" to .250". and fingers to fit the customer’s transfer system. Or we can support the customer’s automation supplier to integrate these products.